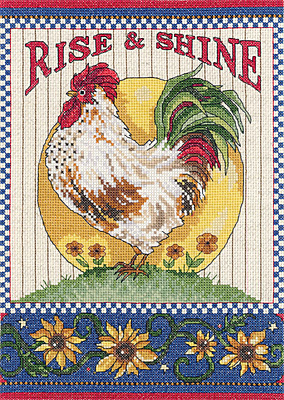 This is a piece of Americana ready to stitch and brighten your kitchen or dining room. A beautifully detailed rooster with stunning flowers will bring light to your decor. Each kit includes 14-count oatmeal cotton Aida, 6-strand cotton floss, needle, chart and instructions.